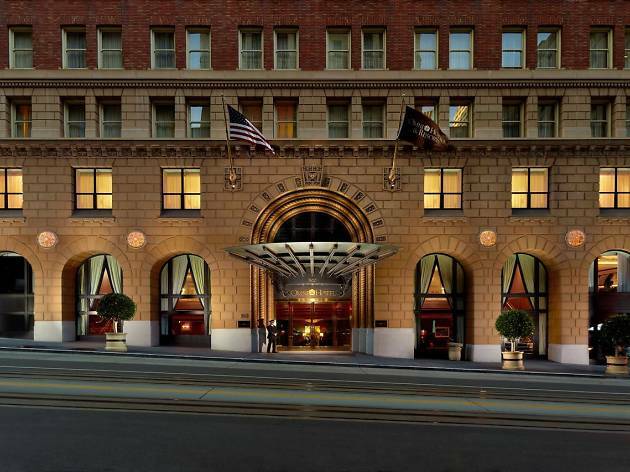 Omni offers fine dining and award-winning service within walking distance from Union Square, a mecca of high-end shopping and art galleries. This 17-story hotel was built as a bank in 1926, and the impressive lobby boasts chandeliers, mahogany paneling and marble floors. All of the 362 spacious guest rooms are warm and inviting featuring high ceilings with crown moldings, mahogany and cherry wood furniture, a warm red and gold color palette and marble bathrooms. The hotel’s restaurant, Bob’s Steak & Chop House, feels more mid-west than San Francisco, but is a good choice for anyone looking for a hearty steak and decadent desserts. Kids will be especially thrilled to receive welcome gifts at check-in and milk and cookies on the first night. There’s also a complimentary walking tour every Saturday at 10am and the hotel is on a cable car line, which makes it very easy to cross that off the sightseeing list. 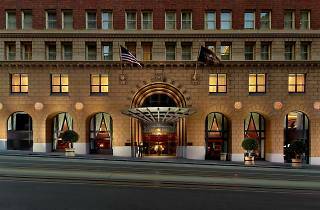 Omni is located right in the middle of downtown San Francisco's Financial District, the city's business and banking hub since the 1849 Gold Rush. Its northern edge is overlooked by the iconic spike of William Pereira’s 1972 Transamerica Pyramid (600 Montgomery Street) and the Jackson Square Historical District, the last vestige of San Francisco’s notorious Barbary Coast, once a seething mass of low-life bars and brothels. Time Out tip: The Omni has a fitness center, but guests can also request a Get Fit Kit, that includes a five-pound kettlebell, mini contour weights, a foam roller, push-up bars and a yoga mat.